To help you ensure that the data reported is accurate, we at SEMrush are constantly improving our report builder by adding as many reliable data sources that may be beneficial for your business as possible. 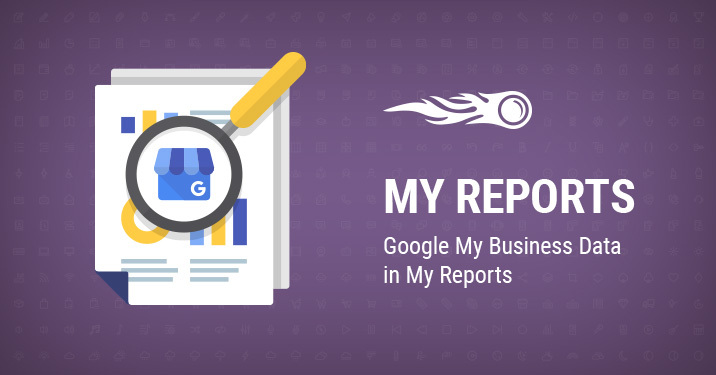 Today we are excited to announce that we’ve integrated Google My Business Insights with the My Reports tool so that data gathered from multiple sources in one place can contribute to your local SEO success. What do you need this integration for? Now you can easily share your local SEO results in a PDF file with your client or boss. You can gather full-scale SEO data in one place — combining Google My Business, Google Analytics, Google Search Console, and SEMrush data. 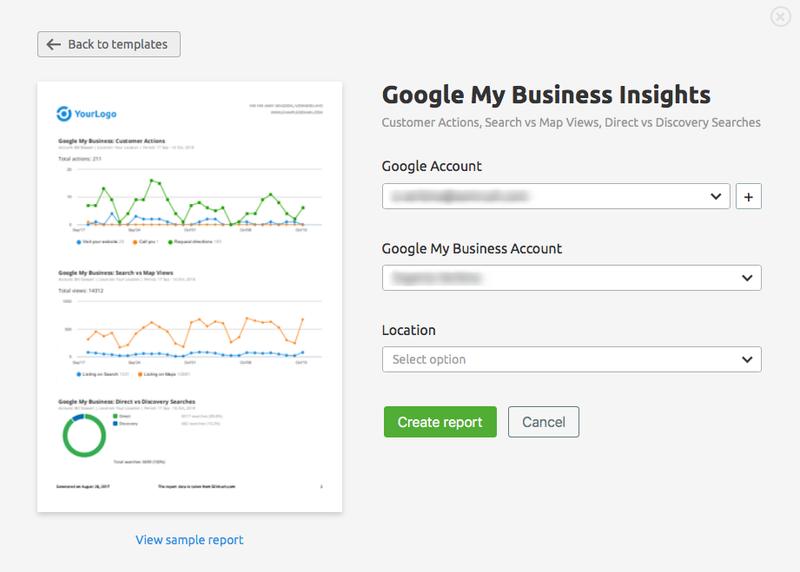 What data from Google My Business Insights can you report? Overview, which allows you to see an overview of user actions. Search vs Map View, which allows you to see what Google services users utilize to find your business — Google Search or Google Maps. Customer Actions, which lets you see how users interact with your listing when they find it — actions are divided into website clicks, requests for directions, and phone calls. 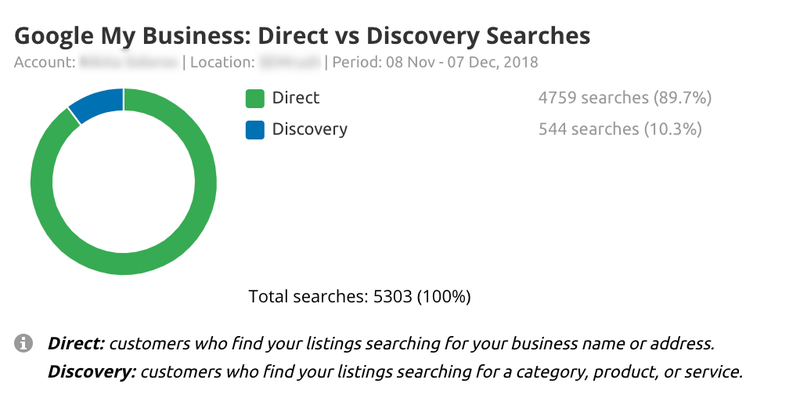 Direct vs Discovery Searches, which allows you to discover how users find your business — through direct or discovery searches. Calls — this gives you insights into when users call you, with a breakdown by day and hour. All of this data can be shown for any custom time period available and summed up for several locations (unlimited). To report your local SEO results, go to My Reports and let the template organize your data — all you have to do is connect your Google My Business Account, select a location and click on the ‘Create report’ button. ​​​​​​​Important: During the beta testing period, the service may be unstable. Learn all the ways SEMrush can help with local SEO. If you have any ideas on how to make this integration better or suggestions for adding any other data sources that may be beneficial for your reporting, please send your feedback to [email protected]. Stay tuned, as more updates are coming!